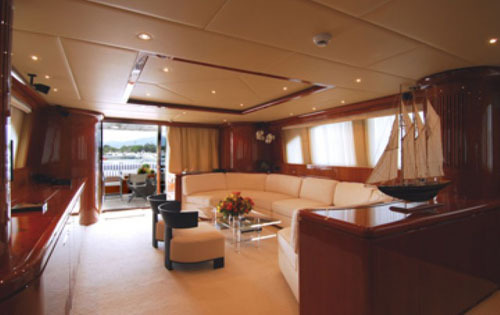 Motor Yacht Bonito is a luxury yacht built by the well known builders Falcon yachts in 2006. 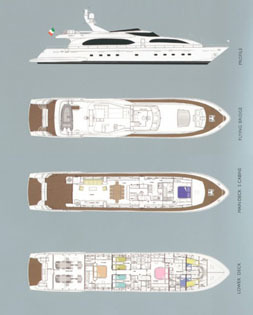 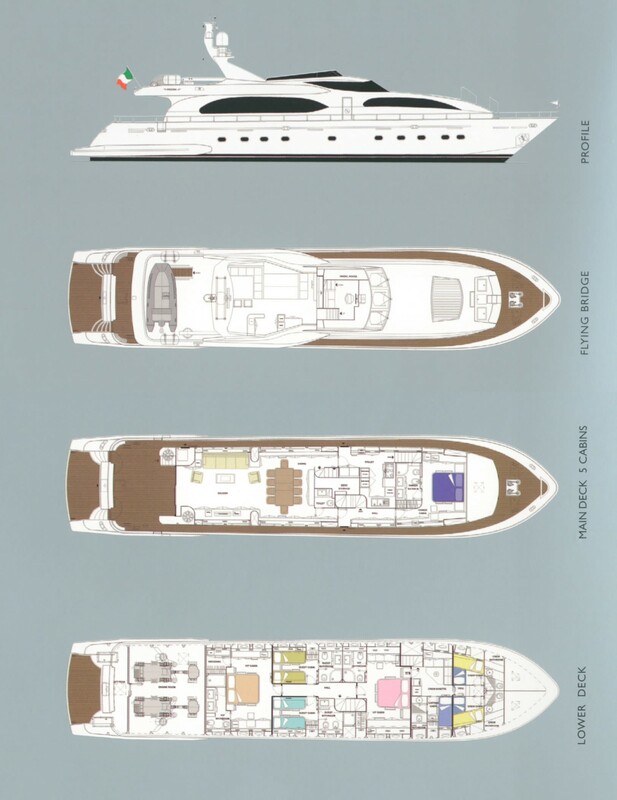 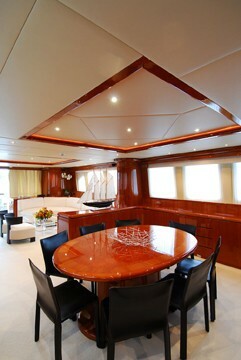 Bonito measures 31m (102 feet) in length and is able to accommodate up to 10 guests. The yacht is based in Athens, Greece, and is in beautiful condition having been very well maintained. 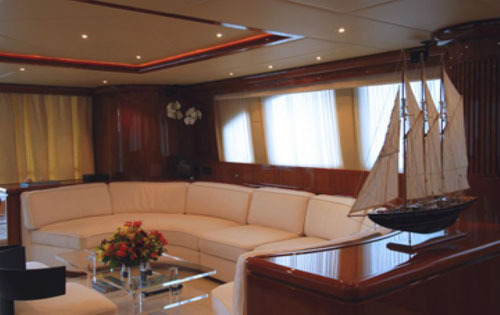 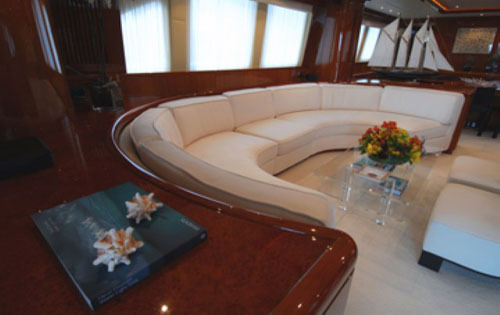 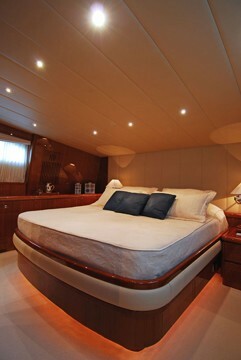 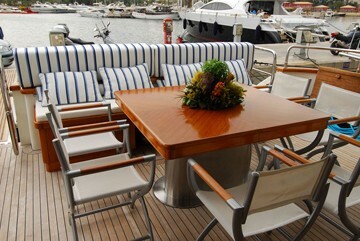 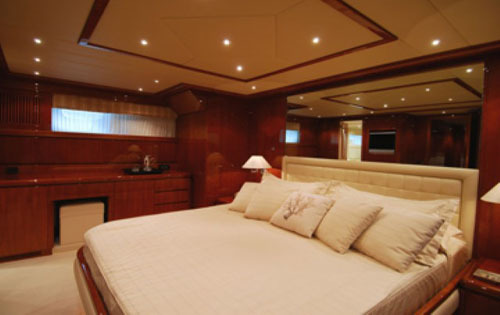 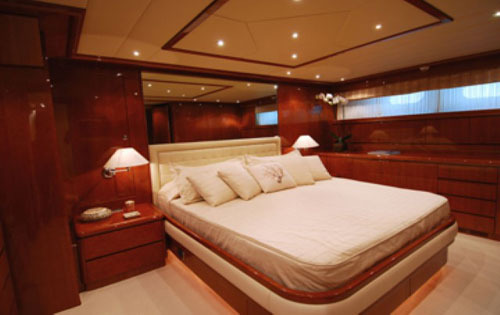 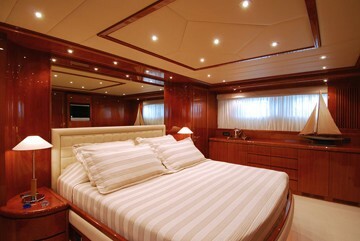 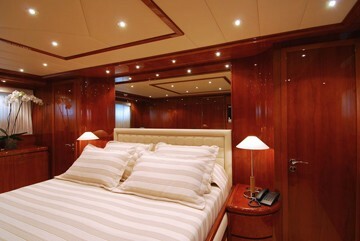 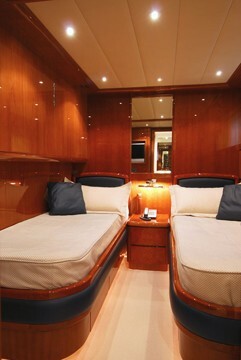 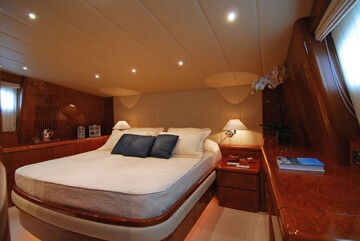 M/Y Bonito has a stylish and neutral interior with high gloss wood throughout. 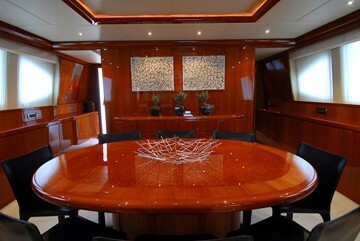 She has a generous sized and comfortable main salon with a separate dining area further forward. Charter yacht Bonito has plenty of external deck space forward with ample sun pads, and the aft deck has a table and seating for alfresco dining. 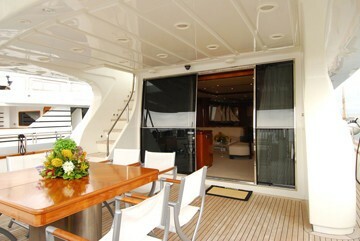 Bonito also has a good sized fly bridge with further seating where guests can sunbathe, dine and take in the view. 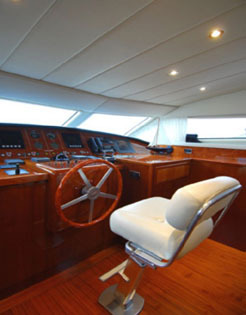 The swim platform gives you easy access to the water, so you can board the Sea Doo effortlessly, or leap into the water for a spot of swimming or snorkeling. The charter yacht Bonito offers Satellite TV, a DVD Library and a CD Library. 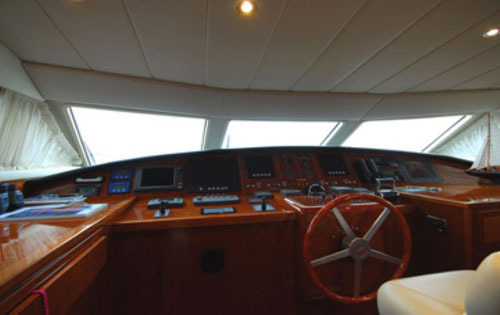 Guests can also enjoy time in the water with the Novurania tender, with a fiberglass keel, center console and outboard engine with 70 HP, and a Sea Doo RXP 1800 2 seater. Charter Yacht Bonito has a beam of 7.2m and a draft of 2.69m. Bonito cruises at an average speed of 23 knots, and can reach a maximum speed of 27 knots. 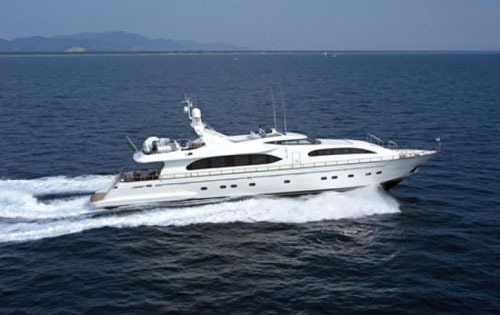 Luxury motor yacht Bonito can accommodate up to 10 guests in 5 cabins. The Master cabin has a king size bed, the VIP cabin has a queen size bed, another guest cabin has a double bed and two further Twin cabins, each have two single beds and an additional pullman. 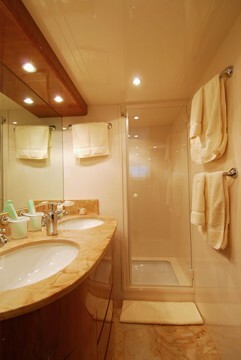 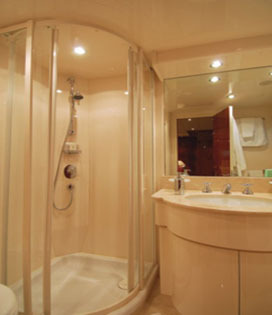 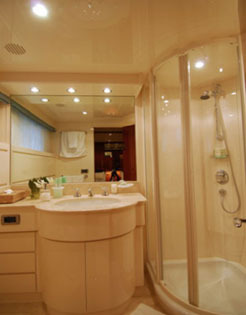 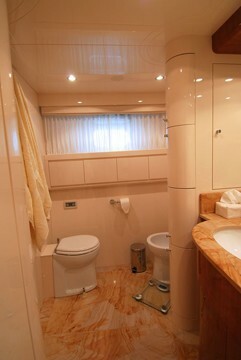 All cabins have en suite facilities.